At the beginning it was a�zonlya�? a group of friends and once water and traveling becameA� their enthusiasm, life style and aim. In 2006 we founded the web H2Omaniaks.com. We present here our actions and projects, show articles, videos and pictures from Czech and international competitions and publish information about rivers, travels and expeditions throughout the world. Our expeditions and competitions gained a media support, we started our ownA� movie production and we take part in travel & film festivals. We co-work with the Czech national TV (very good representation of maniacs and our activities in the programme Fokus A?T24 a�� shot in Untertalbach, Austria, PA�tka v pomeranA?i, TV news. Now we co-work with the programme Objektiv and we prepare reports from our trips, e.g. to New Zealand). We also cooperate with TV Prima and TV Barrandov, radio Beat and Wave, with the watermanA?s magazine HydromagazA�n, Xstream, TA?den and the servers A?TK and aktualne.cz. 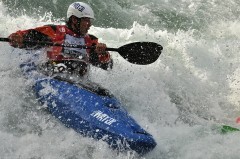 We are ones of the biggest promoters of extreme paddling and free style in the Czech Republic. In 2008 the National Technical Library assigned the web H2Omaniaks.com as on-line publication with the number ISSN 1803-6295. To cover all our activities we founded a civil assotiation in 2009 and the current version of this web (with its English mutation) was born in July 2010 and itA?s still in progress. TomA?A? “Rodeista” MA�hring, Tereza “Blup” SvobodovA? Sorry, texts about our team members we have only in CZ language. But we paddle, travel, take photographs, shoot movies and laugh with many other great people! Would you like to join us? Send us an e-mail to info @ h2omaniaks dot com. If you want to support us or if you are interested in a publicity or promotion, we can send you our presentation (including the list of media and coming projects). For further details look at the section “http://www.h2omaniaks.com/en/sluzby/propagace-inzerce-sponzoring/”>Services. 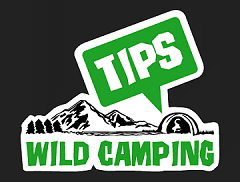 Our new website with free camping tips. It is dedicated for those who prefer wild camping in nature from commercial camps instead. Join us and share your tips for wild camping and natural hot springs with us!